HARRIS JAYARAJ FOR SANTHANAM'S NEXT? VTV Ganesh had stepped up to produce a film which would star 2 comedians, Vivek and Santhanam in lead roles, titled Sakka Podu Podu Raja (SPPR). The team led by debutant director Sethuraman is currently shooting the film at a brisk pace. When we had earlier spoken to the producer, VTV Ganesh, he informed us that the team had not fixed a music director but they were planning to rope in a very popular name for SPPR. He told us that he would make an official announcement regarding the music director once it is confirmed. But now we have received reports that the music director for this film will most likely be Harris Jayaraj. There has been no official confirmation yet but sources say that Harris will be the one scoring the music for this film. If this is true, it will be the first time Harris will be scoring for Santhanam as a lead actor. Let's wait for an official confirmation from the unit! 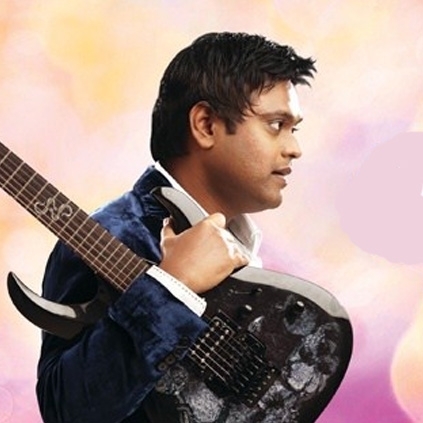 Harris Jayaraj Is A Regular With Suriya, Vikram, Gautham Menon And Ar Murugadoss. People looking for online information on Actor Vivek, Harris Jayaraj, N Santhanam, VTV Ganesh will find this news story useful.